MNM MULTI PROJECTS has experienced draughtsmen that are the best in their field and are determined to exceed their clients expectations. 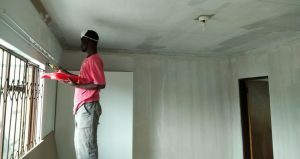 We do residential, Rdp type, industrial and commercial buildings. Tiling, Roofing, Paving, Plumbing, Refurbishments and Painting, Electrical Installation and Reticulation. Contemplating remodeling or extending your house, town houses, a factory, an office block or a shopping centre, we can be of considerable help in making it a pleasant experience. MNM MULTI PROJECTS is equipped with structural engineering resources and will be able to supply its clients with structural design drawings for multi-storey designs. A house is only as good as it feels like home. We are hands on with making sure that your living space is pleasant and comfortable an aesthetically enriched. We can start by looking at the potential of your site and can advise on the best approach to promote development. Town Planning Services can appoint the technical team you’ll need and can manage them for you. The process of consolidating two or more properties into one property. The procedure to obtain consent for uses allowed for on a property only with the Consent of the Council, i.e. second dwelling units (granny cottage), churches, crèches, nursing schools, primary and secondary schools. The procedure to remove restrictive conditions from the Title Deed of a property, such as street building lines, restrictions on subdivision and more than one dwelling unit. Compilation of reports on the zoning and development potential of land and include data such as zoning certificates, Surveyor General’s diagrams, Title Deeds, servitude, municipal services availability. We have experience in all areas of planning and can support you at any stage in the process. We can submit and negotiation planning applications, and where necessary progress appeals. The Directors regularly instruct Leading Counsel and act as expert witnesses in public inquiries. Our solutions enhance the fourth dimension of space – that of creative spatial experience, an interaction between people and their built environment.